The units of measure are means of quantifying a physical value (such as temperature, pressure, volume, mass, length and several others) and those working with refrigeration are constantly dealing with them. Therefore, it is important to know them, understanding what they indicate and how to use them. 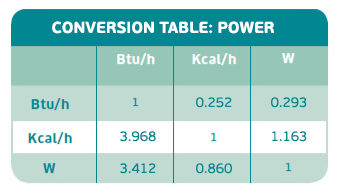 Another reason for knowing it well is that frequently it is necessary to convert the data which is indicated in a determined unit of measure into another one: for instance, from Btu/h to kcal/h. 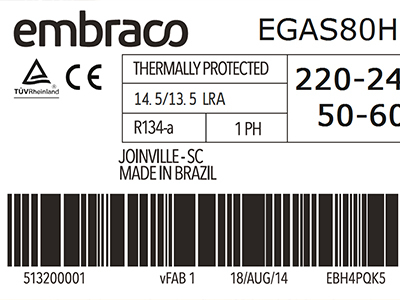 The acronym Btu comes from British Thermal Unit, symbolizing the quantity of energy required to raise the temperature of one pound (0,45 kg) of water by one degree Fahrenheit, under constant pressure of 1 atmosphere. Kcal/h expresses kilocalories per hour. One kilocalorie is equivalent to 1,000 calories and is defined as the exchanged heat when the mass of one gram of water passes from 14.5°C to 15.5°C. In turn, the Watt (W) is the most common unit of power, being adopted in the International System of Units. • kcal/Wh (kilocalorie for Watt hour). • 1 kcal/Wh equals 1.162 W/W and 3.965 Btu/h. When we speak of pressure, we are here referring to the absolute pressure, which measures the difference of the ideal or absolute vacuum and, therefore, is not altered by climate or altitude. The absolute pressure differs from the manometric or relative pressure, which is the difference between the ambient (atmospheric) pressure and the pressure measured. The manometric pressure undergoes alterations when submitted to the influences of climate (which can represent a difference of +/- 30 mbar) and altitude from sea level (up to 200 mbar of difference). There are several units of measure for pressure, such as bar (and the respective derivatives such as the above-mentioned mbar), atmosphere (atm), technical atmosphere (at), Pascal (Pa), Torricelli (Torr), mercury millimeter (mmHg), mercury inch (inHg), water inch (inH2O), pound per square inch (psi) and pound per square meter (psf). For temperature, mainly the scales Celsius (°C), Fahrenheit (°F) and kelvin (K) are used. For instance, if the temperature in Celsius is 20o, the calculation of the temperature in Fahrenheit will be done by multiplying 20 by 1.8, which gives 36. Adding 32, one obtains 68, which is the temperature in oF equivalent to 20oC. To convert degrees Celsius into kelvin, just add 273.5. If the temperature is 20o C, the equivalent in kelvin will be 293.5. It is not possible to convert a temperature Fahrenheit directly into kelvin. To make this conversion, first it is necessary to convert the temperature in degrees Fahrenheit into Celsius. 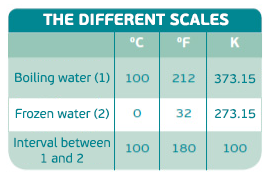 The table below shows the values in the different scales for three situations. • Volume, with units of measure such as cubic meter (m3) or liter. 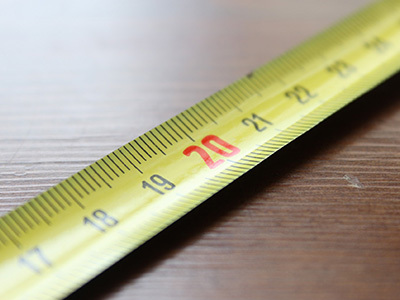 Several other physical values and their respective units of measure could be mentioned here, but our aim is not to make a full list, but to give examples with the most well-known ones. It is important to emphasize also that the main units of measure (for instance, calorie or bar), have derivatives. These derived names are identified by prefixes, which indicate how much more or less they represent than the main unit of measure. 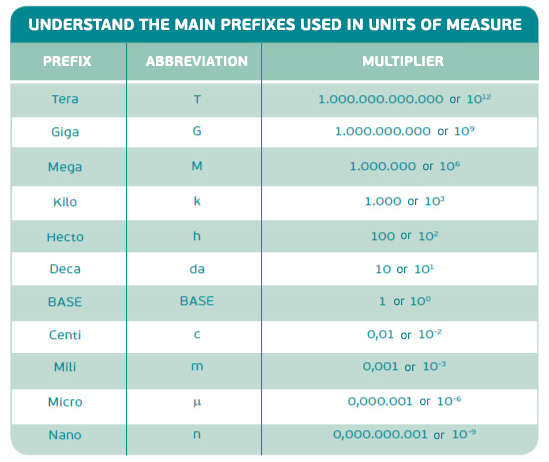 The table below helps to understand this, by showing what the prefixes such as micro, milli, kilo, mega and others, which are widely used, mean. 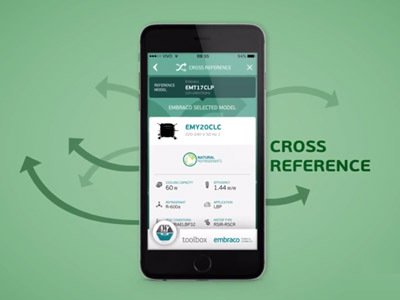 To finish, we remind you of something very useful in facilitating the conversions of units of measure: the Toolbox APP, developed by Embraco and available for download free of charge, has a tool which calculates it for you in a quick and simple way. If you have not downloaded yet, click here to download for Android or here to download it for iOS.